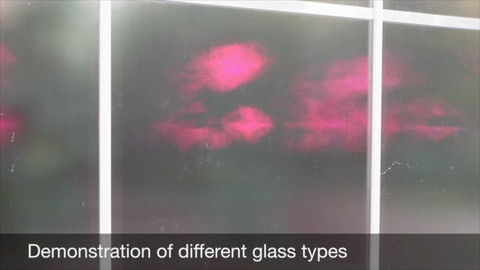 Diffusive glass will scatter the direct radiation into a radiation that comes from several different directions. Compare it with a shower where the water comes in parallell in a new and clean disc, but is scattered in different directions when the shower has been used of a while. Diffusive radiation occurs during cloudy days and direct radiation occurs during clear days. This video shows what it looks like.